Placed on full Senate Calendar April 14, 2016 – but S.719 is the 57th bill listed under ‘Statewide Second Reading Bills’. 2) S.719 is the 57th bill listed on the Senate Calendar under ‘Statewide Second Reading Bills’. The remedy for this challenging situation is to lobby the SC Senators to give S.719 what is known as ‘Special Order’, which moves it up to the front of the calendar. It takes a 2/3 vote of Senators present and voting to be given Special Order. If all 45 Senators are present ( 27 R, 18 D ), that means 30 votes are required. If one or more Senators are absent or decide to abstain, that would lower the number of votes needed to attain the 2/3 threshold. Since the there are 27 members of the Republican Caucus in the SC Senate, they have great influence over what bills are given Special Order when they vote as a consensus block. There are only three ‘Special Order’ slots available on the calendar, however at least one is known to be open right now at the present time. We want the 27 Senate Republicans to first agree within the Republican Senate Caucus, and then quickly vote on the Senate floor, to give S.719 SC Personhood Constitutional Amendment ‘Special Order’. Next Tuesday, April 19, at 11AM, the Republican Senate Caucus meets in Room 209, Gressette Senate Building, and will likely consider the matter of what bill to give the one known open ‘Special Order’ slot. So we have between now and then to call and e-mail the 27 Senate Republicans urging them to agree to give S.719 ‘Special Order’ status when they meet April 19, and then to quickly actually move and vote to do so on the floor of the SC Senate. There are in fact competing bills which various parties wish to obtain ‘Special Order’. 2) The rest of the Republican Senators statewide in SC ( 27 Republicans total in SC Senate ). You may call BOTH the Republican Senators’ Gressette Building phone number and their home/business phone numbers, whatever numbers the Senator has listed in his/her contact information. You may also e-mail them through the SC Legislature website. E-mail pages are also available for each Senator individually here. The SC Personhood Constitutional Amendment S.719 has favorably passed the SC Senate Judiciary Committee ( 13 R, 9 D ) by a vote of 11 – 5 on April 12, 2016. S.719 SC Personhood Constitutional Amendment sponsor, Senator Lee Bright ( R-Greenville, Spartanburg ) did a commendable job explaining S.719, and defending S.719 in response to questions by one Republican Senator and several Democrat Senators ( audio posted here ). Senator Bright’s diligence in his remarks to repeatedly return the focus of the discussion to the purpose of the constitutional amendment in establishing personhood and due process for unborn children was excellent, admirable, and vital. 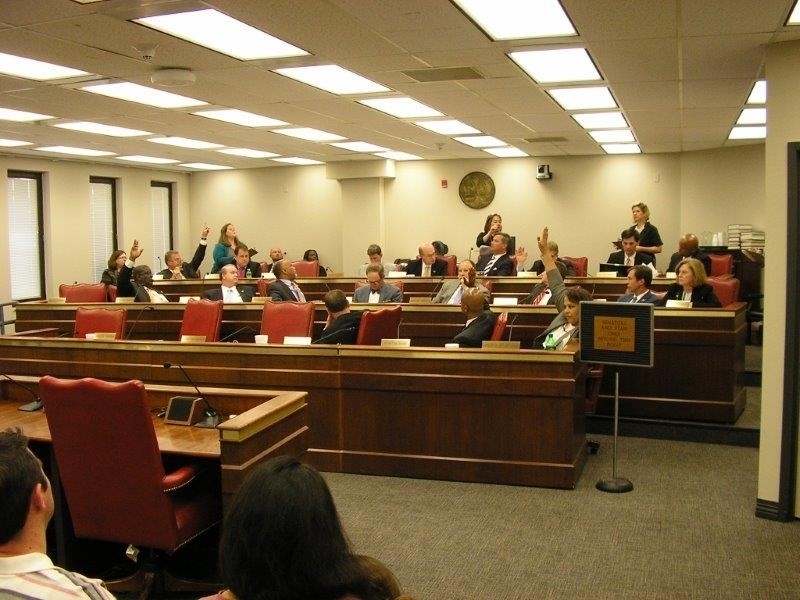 Notes: 1) Archived video of entire April 12 Senate Judiciary Committee meeting including the S.719 debate and 11 – 5 vote is posted here on the SC Legislature website. 2) Regarding Senator Bright’s explanations of the technical Amendment; the original version of S.719 as introduced on April 28, 2015 only addressed the right to life and not property rights. Likewise, the statutory bill ‘Personhood Act of South Carolina’ S.457 considered during two Senate Judiciary Subcommittee public hearings in 2014, also only addressed the right to life and not property rights. This is both the first time the SC Senate Judiciary Committee has ever taken up Personhood legislation for debate, and so of course also the first time that it has passed the full Judiciary Committee. 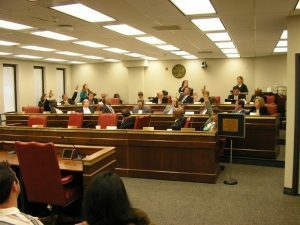 When S.719 passed a Judiciary Subcommmittee chaired by S.719 primary sponsor, Senator Lee Bright ( R-Greenville, Spartanburg ) on March 17, that was the first time Personhood legislation had been favorably passed by a Senate Judiciary Subcommittee. Now S.719 will actually be placed on the Calendar of the full South Carolina Senate. However because 1) the legislation is contested by some pro-“abortion” Senators, and 2) because there is a May 1st deadline under regular procedures for legislation to crossover from one chamber to another, time is of the essence. S.719 will need to be voted by the SC Senate to be given “Special Order”. It takes 2/3 of the Senators present and voting for a bill to be given Special Order. This report is an initial report. Lord willing, future reporting will have more information and detail, including archived video which should be posted here of today’s entire April 12 Senate Judiciary Committee meeting including the S.719 debate and 11 – 5 vote on the SC Legislature website. 2) The next goal is to lobby all 45 SC Senators ( 27 Republican, 18 Democrat, 1 vacancy ) for their commitment to support “Special Order” for S.719. We need a 2/3 vote of those Senators present and voting for S.719 to receive Special Order.